Indie Retro News: Dark Chambers - A Gauntlet Conversion for the Atari 2600 by CDS Games! Dark Chambers - A Gauntlet Conversion for the Atari 2600 by CDS Games! 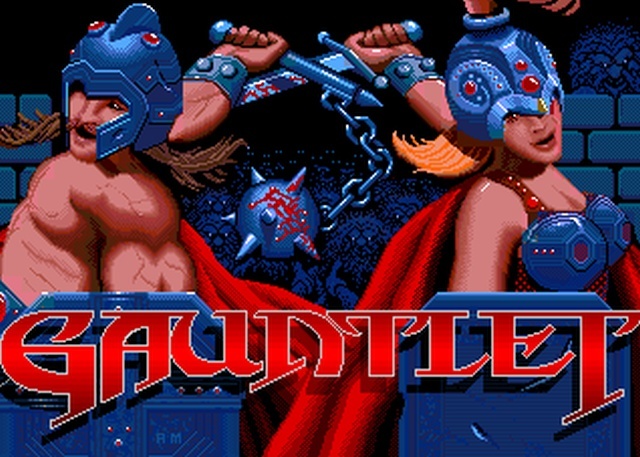 Of all the games I remember growing up with, is the 1980's Arcade game of ' Gauntlet ' which is a fantasy hack and slash game by Atari Games that gave you the choice of playing as four different characters against a horde of ghosts, grunts, demons, sorcerers and thieves in multiple themed levels. It was such a brilliant game in fact, I just had to have it on both my Amstrad and Amiga. But now a developer by the name of CDS Games is converting the Atari 2600 game of Dark Chambers into Gauntlet, as an Atari 2600 hack. According to AtariProtos, Dark Chambers is actually based off an 1983 APX (Atari Program Exchange) game by John Palevich called Dandy. Two years later Ed Logg created his arcade mega hit Gauntlet, using Dandy as inspiration. John was none too happy about this and planned to file a lawsuit, but later settled out of court (rumour has it he received a free Gauntlet machine). Of further interest however, although the games are very similar, Dark Chambers only has two players, lacks special power ups, no themed levels, plus a lot more which makes Gauntlet the far better game. So what better way to improve Dark Chambers, is to hack it into Gauntlet! We wont go too deeply into the conversion as the developer himself has already done a full write up with details on the main discussion page. But what we can say is, the animation tables have been reworked to fit in more sprite and colour data, all four characters have been coded in such as the Warrior, Valkyrie, Wizard and Elf, plus enemies have been changed to grunts, ghosts, demons, wizards, and death. For further information of what else has been done, plus being able to download an almost finished version, visit the forum below.